Gastric Bypass is a bariatric or weight loss surgery recommended for obese or overweight individuals who have not been successful losing weight through dieting, exercise and medication. 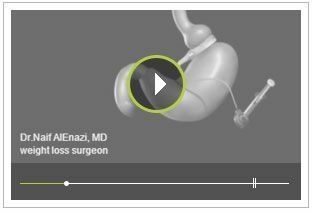 Bariatric surgery is the surgical option for losing weight and improves the quality of life. However, in some cases the results may not last long, be unsuccessful, or cause certain complications. A weight loss procedure that involves the use of an endoscopic suturing device inserted through the mouth and used to place sutures in the stomach thereby altering its shape and reducing its capacity to hold food. A system of 3 balloons in dissolvable capsules that are swallowed and inflated in the stomach reducing its capacity to hold food and promoting weight loss. Head of general surgery Department– Saudi Arabia – Riyadh. 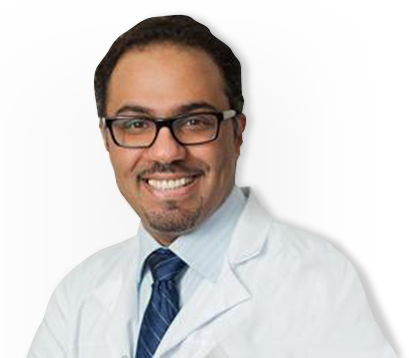 Completed his medical degree at King Saud University, Riyadh. Residency in General Surgery at King Khalid University Hospital in Riyadh.